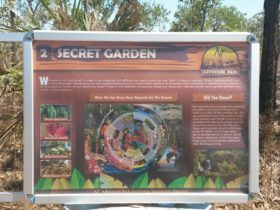 This is one overnight adventure you won’t forget! 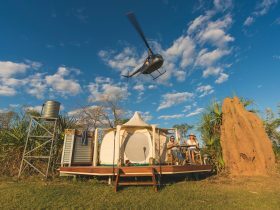 Collected from your Darwin accommodation, you’ll be transferred in air-conditioned comfort to Berry Springs Nature Reserve for a refreshing dip in crystal blue waters. Then head to Darwin River Tavern for lunch – a variety of barramundi, oysters, local buffalo or just your good old steak sanga and chicken parmie are on the menu. 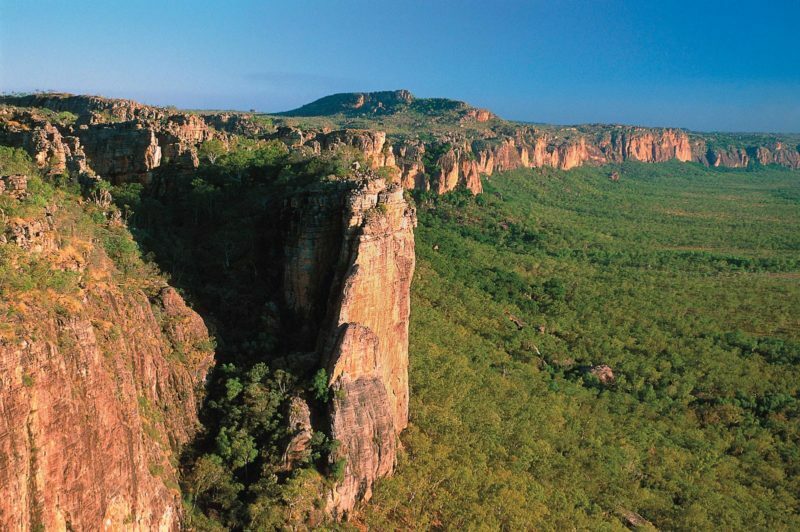 Continue south-west to Matt Wright’s Top End Safari Camp. 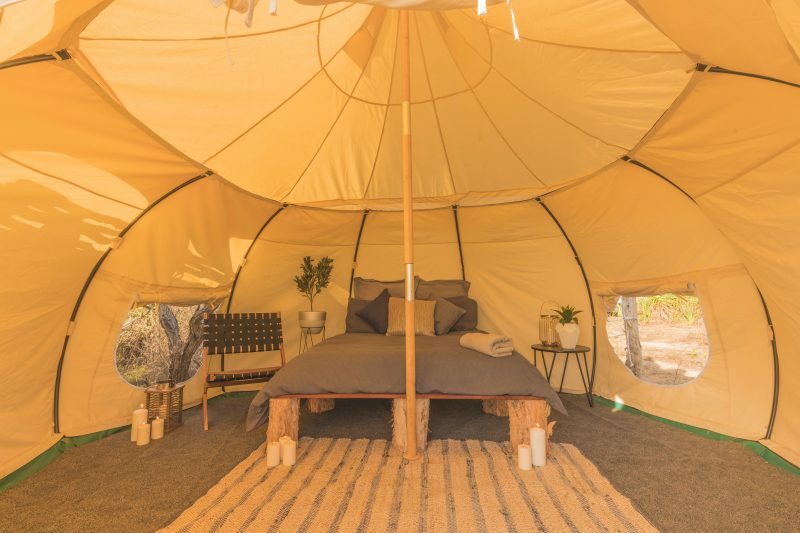 Set amongst the Litchfield region’s spectacular cathedral termite mounds and lush open floodplains, the Camp’s ten deluxe Lotus Belle Tents are complete with a double bed, outdoor shower, wooden decks and solar power. Once you’re all settled in, stroll over to meet Tripod, Matts incredible 17 foot Saltwater Crocodile. 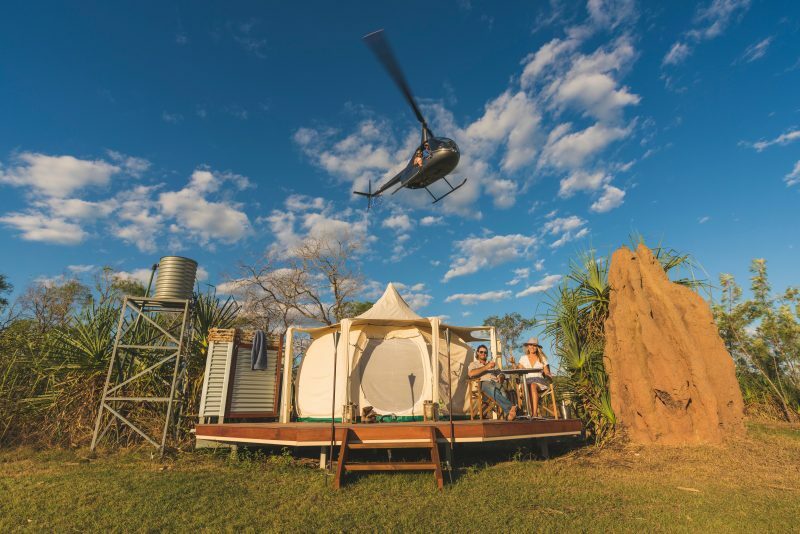 And to finish the day on a real high, enjoy a helicopter flight over the surrounding floodplains, spotting wild boar, crocs, buffalo and extensive birdlife. It’s then time to unwind on our Star Deck and enjoy an incredible NT sunset with a delicious BBQ dinner. Rise and shine the next morning for a cooked breakfast before departing back to Darwin.